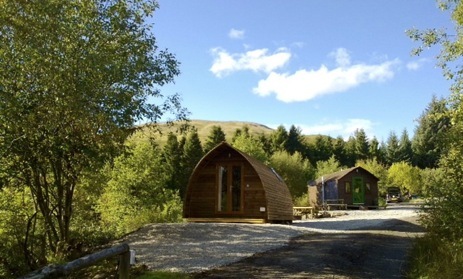 Strathfillan Wigwam Village, Scotland with Glamping is situated on a working farm in the West Highlands, within Trossachs National Park and near Loch Lomond. 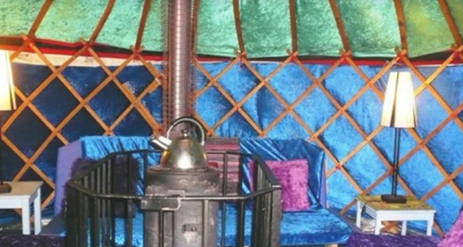 Surrounded by thick forests, wildflowers and chirping songbirds, glamping holidays in our Wigwams and Lodges are the perfect way to get back to nature. It’s easy to spend hours relaxing by the babbling River Allt Auchtertyre. From our campsite, there’s a popular woodland walk leading to a waterfall. 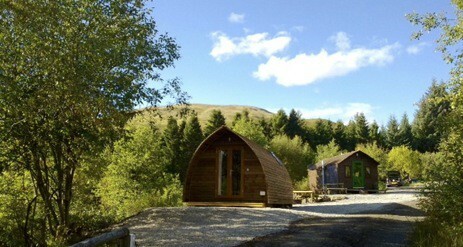 Strathfillan Wigwam Village is also close to a new gold mine that has recently been given the go-ahead near Tyndrum. If you’re interested in taking a day trip from the Wigwam Village, public transport is available either by coach or train to the villages of Crianlarich and Tyndrum, where there is a local taxi for the last few miles. After a day of exploring, you’re welcome to cook dinner over your campfire. We suggest trying our delicious sausages in either, wild boar, ostrich, kangaroo, venison or if you’re feeling adventurous, go for the camel or zebra steaks. Our Wigwams are comfortable and cosy, with foam mattresses, electricity for light, heating and personal electrical equipment. Each Wigwam has a fire pit, but only wood purchased in our shop may be used. Grills are available should you wish to cook our superb sausages on your campfire. 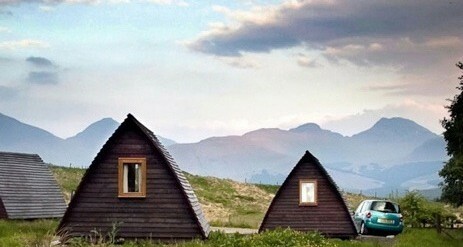 We also have five lodges ideal for family, groups or couples wanting a relaxing break from rush of life. Buffalo, Bald Eagle and Firewater all have separate bedrooms, a lounge area with TV and kitchen, shower and toilet facilities. Beaver is our deluxe wigwam with one room offering sleeping space for 5 plus people with the luxury of a kitchen, toilet, shower facilities and TV. Sleeping bags with liners, pillows and pillow cases can be hired. Shower cubicle with electric shower, toilet and hand basin. Please remember you are in the country and away from city lights, we advise you to bring a torch. Master Blender and Whisky and Chocolate Matching! £10 per extra adult, £8 per child extra. 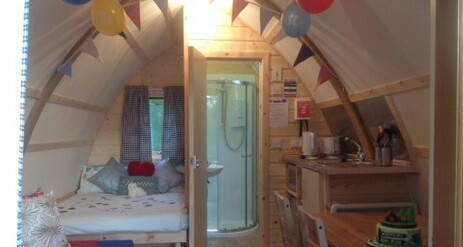 En-suite wigwam £75 per night based on two sharing. 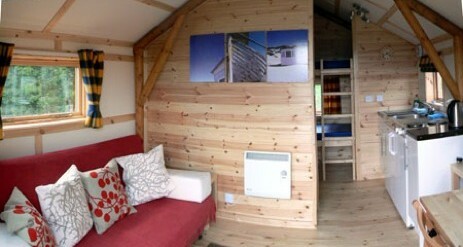 £60 per night for 2 sharing. 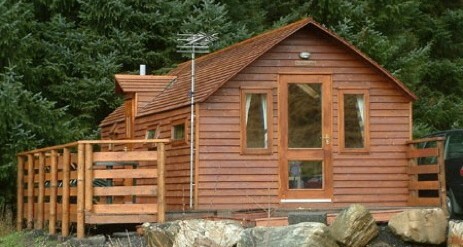 All lodges £10 per extra adult £8 per child. £70 for 2 people and £10 per extra adult and £8 per child. All buildings will be subject to a £10 single night supplement for Saturday bookings only.